✅ We are not affiliated with Slightly Stoopid. Slightly Stoopid announced a 28-date “How I Spent My Summer Vacation 2019” tour. 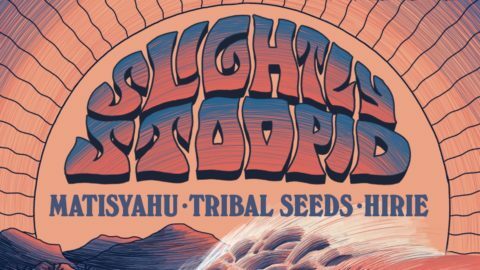 The band will hit the road with Matisyahu, Tribal Seeds and HIRIE. The tour is currently slated to start in Slightly Stoopid’s hometown of San Diego on June 1. From there, it’s off to Florida for shows in St. Augustine, Pompano Beach, Cocoa and Key West. The Mid-Atlantic and Northeast portion of the jaunt begins in Baltimore on June 13. Next up are stops in Gilford, New Hampshire; Westbrook, Maine; Camden, New Jersey; Portsmouth, Virginia; Raleigh; Pittsburgh; Boston and Asbury Park to close out the month. As Slightly Stoopid's organic fanbase continues to grow exponentially, prolific studio releases and relentless live touring has fueled the band's passion for their craft, manifesting a unique and dedicated subculture. In an interview with Pollstar last year, Miles Doughty said that "the thrill of performance is what keeps the band on the road" and Billboard affirms that "Slightly Stoopid are showing no signs of slowing down". A fan pre-sale is currently underway and runs through Thursday, February 28 at 10 a.m. local time. Tickets go on sale to the general public this Friday, March 1 at 10 a.m. local time. Buy Slightly Stoopid tickets for 2019 tour. Slightly Stoopid How I Spent My Summer Vacation Tour Dates 2019.